The good news is that because bullying has made national headlines, schools and communities (and even celebrities) are taking a strong anti-bullying stance. (1) Talk about it. Talk about bullying with your kids and have other family members share their experiences. If one of your kids opens up about being bullied, praise him or her for being brave enough to discuss it and offer unconditional support. Consult with the school to learn its policies and find out how staff and teachers can address the situation. (2) Remove the bait. If it’s lunch money or gadgets that the school bully is after, you can help neutralize the situation by encouraging your child to pack a lunch or go to school gadget-free. (3) Buddy up for safety. Two or more friends standing at their lockers are less likely to be picked on than a child who is all alone. Remind your child to use the buddy system when on the school bus, in the bathroom, or wherever bullies may lurk. (4) Keep calm and carry on. If a bully strikes, a kid’s best defense may be to remain calm, ignore hurtful remarks, tell the bully to stop, and simply walk away. Bullies thrive on hurting others. 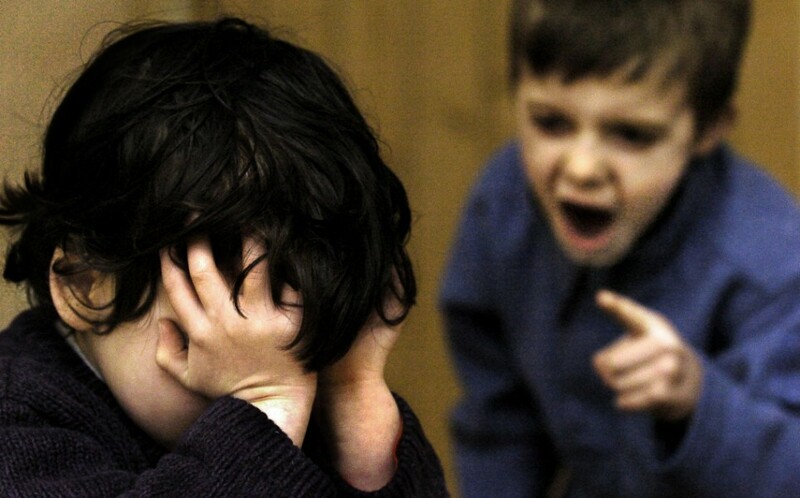 A child who isn’t easily ruffled has a better chance of staying off a bully’s radar. (5) Don’t try to fight the battle yourself. Sometimes talking to a bully’s parents can be constructive, but it’s generally best to do so in a setting where a school official, such as a counselor, can mediate.